The Department for Business, Enterprise and Regulatory Reform has today confirmed that oil and gas exploration may be given the go-ahead in the Moray Firth, which is home to a population of bottlenose dolphins. Scottish Ministers have the power to call in projects of this sort under regulations agreed with the Green MSPs following May’s election. Green Lothians MSP, Robin Harper and Green Council Convenor, Alison Johnstone will be at the Bethany Christmas Tree at Morningside Clock, Morningside Road at 9.30am on Friday 30th November. For the third year running Scottish charity Bethany Christian Trust are running their excellent “Caring Christmas Trees” scheme where all money made by the Charity through sale of their trees, goes straight to helping homeless people in the cold winter period. 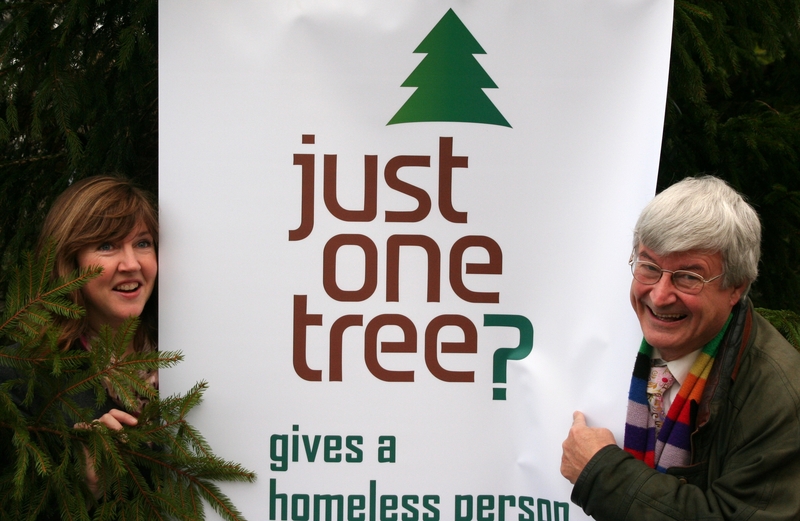 As well as the City of Edinburgh Council, churches, schools and businesses across the Lothians have ordered Caring Christmas Trees to help homeless people this winter. Proceeds from the Caring Christmas Tree sales help fund Bethany‘s life-saving Winter Care Shelter service which is hosted in Edinburgh City Centre churches, and provides around 750 rough sleepers with overnight accommodation, hot meals and advice every night for 5 months during the winter. Tonight, Tuesday 11th December, Robin Harper MSP will host a special event for ChildLine Scotland. Harper, a dedicated supporter and fundraiser for ChildLine Scotland will hand over a large cheque for £1000.00 to ChildLine at the meeting, to be held in the Scottish Parliament. Robin Harper’s Festival Fringe Event has become an annual occurrence. His show includes Robin and friends singing and playing guitar. Robin donates all money raised from the show to ChildLine Scotland. Green MSP Robin Harper, speaking in advance of tomorrows annual fisheries debate, warned that SNP plans to support an increase in the total allowable catch of cod by up to 15% will result in cod stocks being reduced to danger levels, unless effective action is taken to reduce the dumping of out-of-quota fish. Green MSP Robin Harper, speaking in advance of today’s debate in the Scottish Parliament on equality and diversity, urged MSPs from all parties to support Green proposals for new legislation on hate crimes. Green MSP Patrick Harvie’s bill will strengthen the law to tackle hate crimes against people based on their disability or sexual orientation. The move will introduce ‘statutory aggravation’ power to ensure that abuse and violence towards these groups is treated the same as racist attacks, and provide courts with clear and consistent sentencing powers.